Jordan has balked at Berlin’s demand for complete immunity for its soldiers to be deployed in the country as part of US-led coalition against terrorism in Syria, delaying the move. German media have confirmed that bilateral talks to station 250 German soldiers in Jordan have hit a roadblock as Amman refuses to grant total immunity to German soldiers in view of the Jordanian jurisdiction. Der Spiegel noted over the weekend that the demand by German authorities met with Jordanian refusal. “We already started the deployment … and are expecting to be fully operational by October,” a spokesman of the German defense ministry was quoted as saying. An unnamed Jordanian official told media that the talks halted over “diplomatic rules” and demand by the kingdom for “equal mutual treatment”, The New Arab reports. The German soldiers would be stationed at Muwaffaq Salti (Azraq) air base. 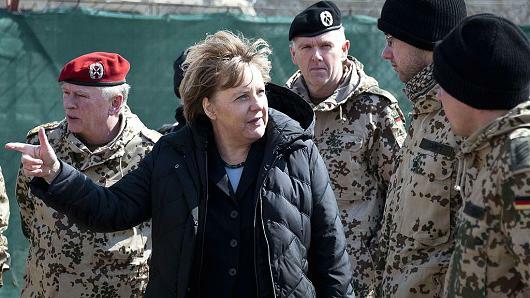 Germany decided to transfer its soldiers to the Jordanian air base after Turkey recently refused that a delegation of the defense committee of the German parliament visits the German soldiers at Incirlik base. Germany and Turkey have been embroiled in tense diplomatic relations since last year’s failed coup in Turkey. Turkey accuses Germany of sheltering coup instigators and housing terrorists aligned with Erdogan’s US-based enemy, Gulen. Posted by KanelkaTagba on Aug 28 2017. Filed under Headlines, World News. You can follow any responses to this entry through the RSS 2.0. Both comments and pings are currently closed.